Edinburgh Voluntary Organisations’ Council reaches the grand old age of 150 this year. From April, we intend to spend much of the next year researching the reason for EVOC’s formation, the social and civic context it operated within, and the extraordinary people that have been involved the Organisation in some way or another. With that in mind, a couple of weeks ago I donned my heritage hat and headed down to Edinburgh Central Library with our Convenor to rummage around some of our archives. Admittedly, having glanced the titles of the documents on our inventory, I was a little concerned that my morning would consist of wading through 150 years of dry meeting minutes. I needn’t have worried however as one of the first documents to grab my attention was a personal letter from Octavia Hill* to Helen Louisa Kerr. Helen Louisa Kerr was a formidable woman, a social worker and researcher she was at one time the Director of the Edinburgh Social Union. Her knowledge of social reform and housing lead her to become the only female member of the Royal Commission to enquire into Housing of the Industrial Population of Scotland in 1912. She conducted a series of lectures on poverty and wrote the preface for Dr Chalmers and the Poor Laws 1911. She was appointed a Manager of the Edinburgh Royal Infirmary, pushed for the establishment of a Scottish Board of Nursing, and worked to further the professionalisation of nurses. In the correspondence Hill praises Kerr and the Edinburgh Social Union for their work on the regeneration of housing for the poor, stating “I know how, in your place, I should long to do the work; I know well how incomparably better done it would be by you and yours”. 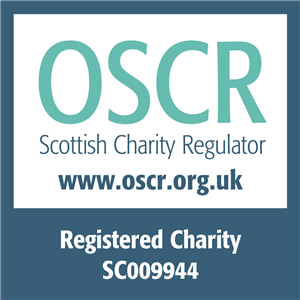 In the Third Annual Report of the City of Edinburgh Charity Organisation Society 1909, the name by which EVOC was known at the time, Kerr is listed as an Honourable Secretary. This is a remarkable document, not only because it details the collaborative relationships between statutory, public, academic and charitable organisations, but also because it highlights the work of women in Edinburgh in their mission to improve the welfare of the City’s citizens. In a section titled ‘The Prevention of Infant Mortality’, which discusses the work to improve the health of new-born babies by voluntary organisations and the City Council, we learn that Dr Elsie Inglis arranged a series of lectures to health visitors and mothers. 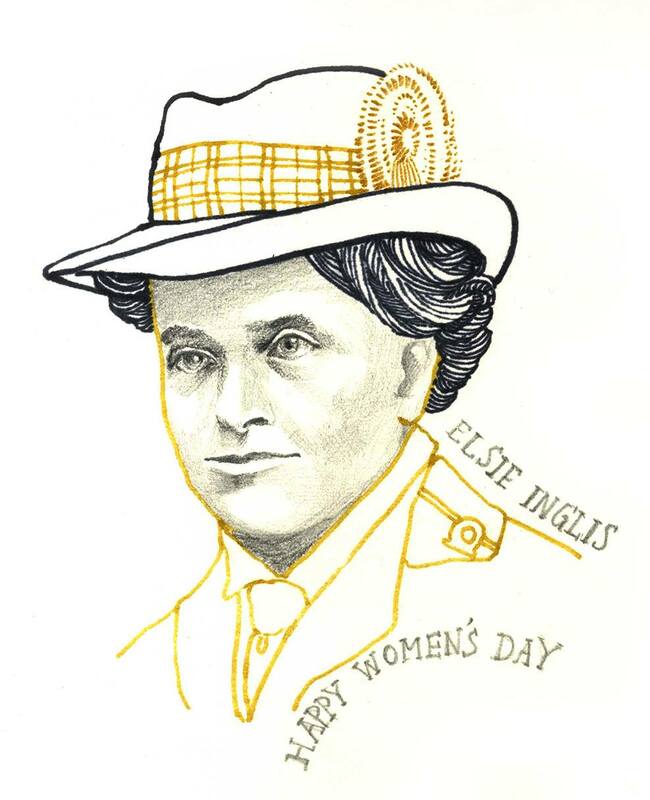 Dr Elsie Inglis (1864 – 1917) was one of Scotland’s most influential suffragists, and was secretary of the Edinburgh National Society for Women’s Suffrage, and honorary acting secretary in the early years of the Scottish Federation of the National Union of Women’s Suffrage Societies. After studying at the Edinburgh School of Medicine for Women which was opened by Dr Sophia Jex-Blake (of Edinburgh Seven fame), Inglis went on to dedicate much of her medical career to improving the healthcare provision for female patients. She studied and qualified from a number of leading hospitals for the improvement of women’s health and returned to Edinburgh to set up a maternity hospital for poor women, a midwifery training centre, and used her connections in the suffrage movement to raise money for the Scottish Women’s Hospitals. 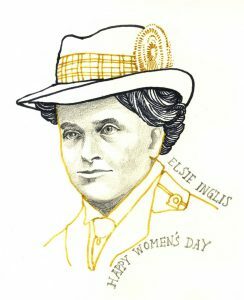 During the First World War Inglis created a Medical Unit staffed by qualified women, and offered their services to the Royal Army Medical Corps. The offer was declined, rather condescendingly, by the War Office, yet the merit of the Unit was recognised by the French government and they were deployed in Serbia. To see the names of these incredible women, amongst many others, mentioned in documents that relate to our Organisation’s history is humbling to say the least. While I feel as though we have only just scratched the surface, I hope through further research we find more out about the women that have fought for the welfare of our citizens, that we give them the recognition they deserve, and we celebrate the women today who continue their legacy. Finally – a big International Women’s Day shoutout to all of the charities and organisations working tirelessly for women’s rights, safety and wellbeing in our City. You know who you are! *Octavia Hill (1838 – 1912) was credited with being the driving force behind the development of social housing, a founder of the National Trust and founding member of the Charities Organisation Society. Her approach to social housing, known as the Octavia Hill system, employed women to collect rent and care for the welfare of the residents as much as the condition of the buildings.